In my last article, I wrote about some best drones in Australia. This time I am going to write about some of the cheaply priced drones in Australia. These are the drones that you can get for a price, not more than $200. I made this list based on my personal experience. So, here are the 5 best drones under $200 in Australia. Reviewing a drone in many ways is like reviewing a phone. How long does the battery last, is the software intuitive, and moreover, is it easy to control this thing when it takes off? So let’s get an answer to these questions while reviewing these cheap drones under $200. The Bebop from Parrot is one of the cheap drones to buy in Australia. Parrot has been producing quality drones from the first generation of quadcopters. Parrot Bebop allows you to capture stunning pictures and videos from a great distance. You can control the drone with the help of a smartphone or tablet. But you can also use a more traditional controller, which extends the range of unit to 1.5 miles. It’s small and light so you can easily get it into a backpack. Parrot Bebop comes with a 14MP camera that captures crisp images and 1080p HD video. Drones these days are really trending and there are a lot of drone manufacturers producing them. Holy Stone is one of the most popular in the market due to its impressive design and features. This lightweight drone is perfect for everyone. It has 720p HD camera along with an operational range of 120 meters. Moreover, it holds 4GB of SD card, USB charger, phone holder and rotatory blades. It performs wonderfully because it can be controlled easily. The automatic altitude gives you an opportunity to go-off your joystick. This allows the drone to hover at the same place where you left the joystick. It can easily perform 360 degrees flips in many directions. The LED lights assist you to fly the drone at night time. Battery timing is also pretty decent, so you can play around 10 minutes. Overall it’s an amazing device with rich features. Force 1 is also an excellent drone for beginners at a very cheap price. Its entire body and propeller guards are made of very thin plastic, making it very light and capable of absorbing the impact very well. 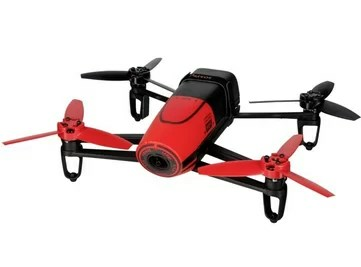 It comes equipped with a mini-camera, four backup propellers, battery charger and USB cable. The performance of U818A is also very good, when it reaches 10 feet or more in the air, just press the 360-degree button and see the aerobatics. It has an HD camera for capturing images and recording videos. The Altitude control is pretty impressive as it prevents the drone from crashing into buildings or trees. 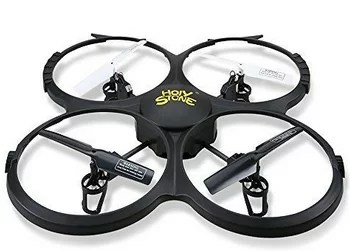 The last in our list of best drones under $200 in Australia comes the Holy Stone F181C. 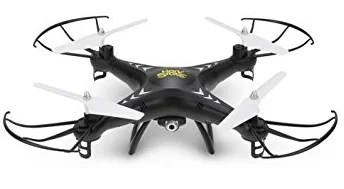 This drone is recommended both for indoor and outdoor scenarios. 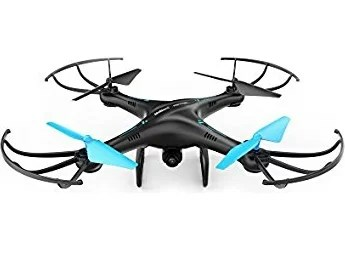 Despite its low price, it’s a very good package that includes the features you will not see in any other drone in the market. F181C is coated in black with two pairs of LEDs underneath. Holy Stone F181C is made up of durable plastic material which is quite resistant to crashes. The camera on this device is 2MP but it is capable of recording videos with 720p resolution at 30fps. It also features 6-axis GYRO technology that keeps it firm and stable while recording videos. Moreover, you can perform 360 degrees flips and aerobatics in any direction. The drone’s range is around 100 meters and it can gain speed up to 10miles/hour. You should definitely get this monster, I bet you will not regret buying it. Furthermore, the battery life on this drone lasts for 10 to 12 minutes. There are a lot of cheap drones available on the market. Most of them are from Chinese manufacturers that might not last more than a month or two. If you are looking for the best drones under $200 to buy in Australia, then make sure that you choose a well-known brand.